If you’ve ever attended a family reunion, chances are the meals were potluck. There’s nothing wrong with that, but you might have an even better time if you let someone else do the cooking. Here are some of the major advantages to upgrading your dining experience. Get Out of the Kitchen: One of the best things about going to a party is that someone else prepares the food. Considering all the work that goes into planning a family reunion or even getting your family to attend, it’s nice to strike one task off your list. Even if you like cooking, the labor it takes to prepare a meal for a big group may surprise you if you’re used to feeding only a few people at a time. Cut Down on Packing: Packing light makes any travel much easier. 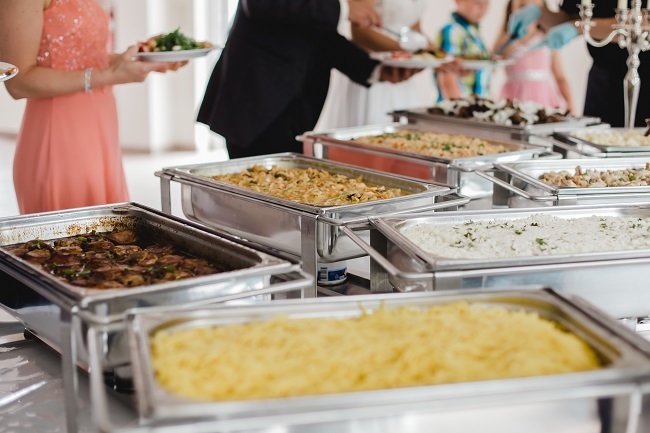 You’ll arrive at your destination feeling ready to party instead of wanting to go back to bed because you wore yourself out bringing along the food and all that goes with it, like the cooking and serving supplies. You can also greatly reduce the risk of anyone getting food poisoning by not transporting food. Mingle More: It’s hard to have a deep conversation when you’re worrying about whether your relatives like your spinach lasagna. Plus, at the end of your reunion, wouldn’t you rather spend those final minutes saying goodbye to each other and making plans for the future instead of having to go back into the kitchen to clean up all those pots and pans? At Chandler’s Gardens you can have a wonderful and affordable family reunion without having to cook a single dish yourself. You can choose your own caterer, and dine at any of the beautiful locations available at our 250 acre facility in the rural countryside of McKinney, Texas. Contact us to discuss your reunion plans. Escape to the Country for your next Corporate Event! Incredible $750 discount for 2019 Friday & Sunday wedding dates!